Witchcraft is a pretty popular topic nowadays. I mean, who isn’t interested in spells and wizardry? 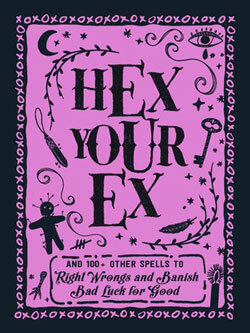 HEX YOUR EX explains the different types of magick and what they mean. Black Magick: anything done to harm or manipulate another person or to interfere with his or her free will is black magick. 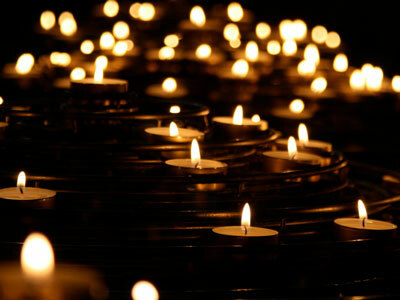 White Magick: white magick’s purpose is to further spiritual growth, by strengthening your connection with the Divine realm and/or gaining wisdom from a higher source. This means if you do a spell to get a better job or to attract a date, you’re operating in the gray zone. Nothing wrong with that! But watch out, because it’s easy to inadvertently cast a questionable spell—especially when you’re having a bad day. Let’s say your roommate is driving you crazy and you do a spell to get even with her for a dirty deed. Your revenge may seem justifiable, but it’s still black magick. Here’s another little-known fact: most black magick isn’t performed by evil sorcerers or wicked wizards—it’s done by ordinary people who don’t even realize what they’re up to. Have you ever cursed some jerk for stealing your parking space or cutting ahead of you in a long line? That’s black magick too. One more fact: magick is all in your mind. As we discussed earlier in this chapter, magick involves forming an intention in your mind, then fueling it with energy and emotion. So if you wish for something hurtful to happen and invest that wish with angry emotions, you’re doing black magick whether or not you enact a formal spellcasting ritual. Maybe you’re wondering why not to use magick to put someone who’s wronged you in his place. It’s tempting, for sure. Except that in the world of magick, whatever you do returns to you like a boomerang. That’s a good reason for keeping your thoughts focused on positive stuff. It’s also why usually the best way to get what you want—especially on days when everything seems to be going wrong—is to bless instead of curse. 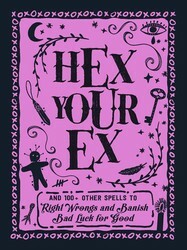 Uncover more secrets to magic in HEX YOUR EX by Adams Media! 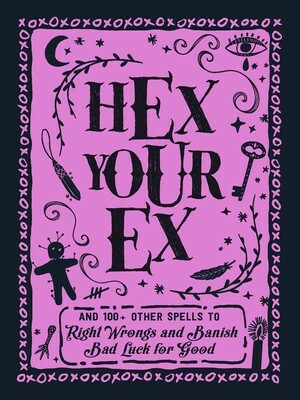 Excerpted from Hex Your Ex by Adams Media. Copyright © 2019 by the author. Used by permission of the publisher. All rights reserved. Photo by Mike Labrum on Unsplash. Adams Media provides helpful, funny, and inspiring books on a wide variety of topics, so no matter who you are, we’ve got you covered. Our editors are just like you—living, loving, and learning every day. Our personal experiences and expertise in our given book categories allow us to bring you some of the best blog content on the web—from parenting to relationships, to the paranormal, cooking, and humor—we cover what you care about.